Many individuals searching for how to remove flagstone tile themselves, which might sound like a great do it yourself project, don’t realize is the large amounts of harmful, lung cancer-causing silica dust that goes airborne when doing this type of work. Flagstone is very dusty due to the extremely large thinset/mortar bed used to bond it to the concrete. 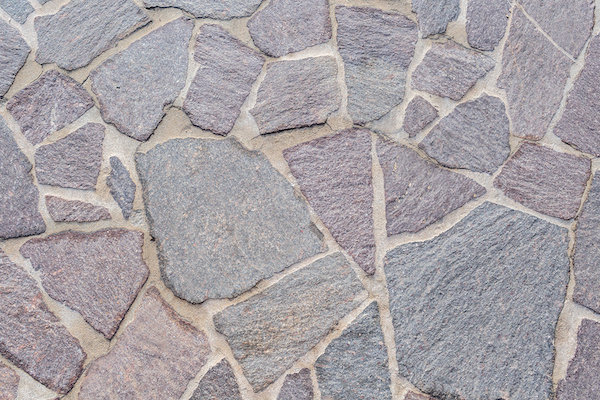 As mentioned, many people, both homeowners and even some contractors, are not aware just how thick the mortar bed can be for flagstone. Using a system like the DustRam is the only way to both remove the flagstone flooring as well as bring the floors back down to bare concrete where they are typically ready for new flooring to be installed.